Ross River, YT, Canada is a small village located on the banks of the Ross and Pelly Rivers in Central Yukon Territories, Canada. The village of Ross River operates a river cable ferry connecting the North and South Canol Roads. Top things to do, attractions, adventures and activities enjoyed in Ross River, Yukon Territories, Canada are hiking, fishing, off roading, ATVing, canoeing, hunting, wildlife watching, sightseeing, backpacking, snowmobiling and ice fishing. The best activity and adventure destinations located in Ross River, Yukon Territories are the Ross River Suspension Bridge, Ross River, Pelly River, and the Canol Road Heritage Trail. What are the Accommodations, Services and Amenities in Ross River, YT? Important services and amenities for travelers when exploring in and around Ross River, YT, Canada include a gas station, general store, ATM and ferry services. 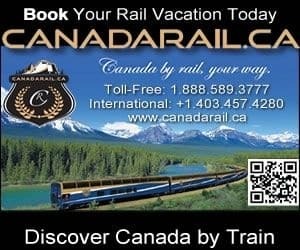 How To Get To Ross River Yukon Territories? Vehicle: The main highway in the Yukon Territories which connects to the community of Ross River, YT is Highway #4. Air: The closest international airport is the (YXY) Erik Nielsen Whitehorse International Airport (5 hours 44 minute drive - 409 kms). Ferry: A summer ferry in Ross River provides service to the North Canol. eh! Plan to Visit Ross River, Yukon today. What Communities are near Ross River, YT, Canada.